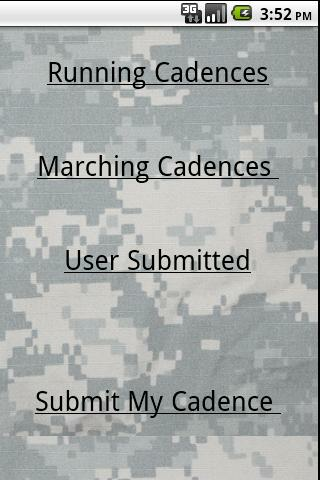 Marching and Running Cadences for the United States Army, Marine Corps, Air Force, and Navy. 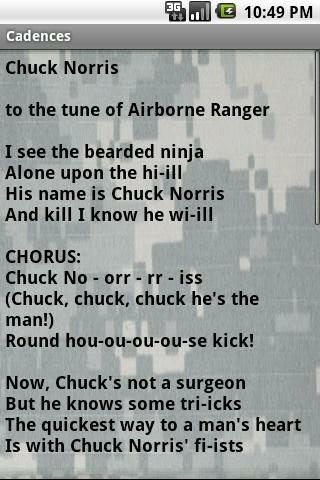 These are the the words, no audio sorry. *best viewed in landscape for some.